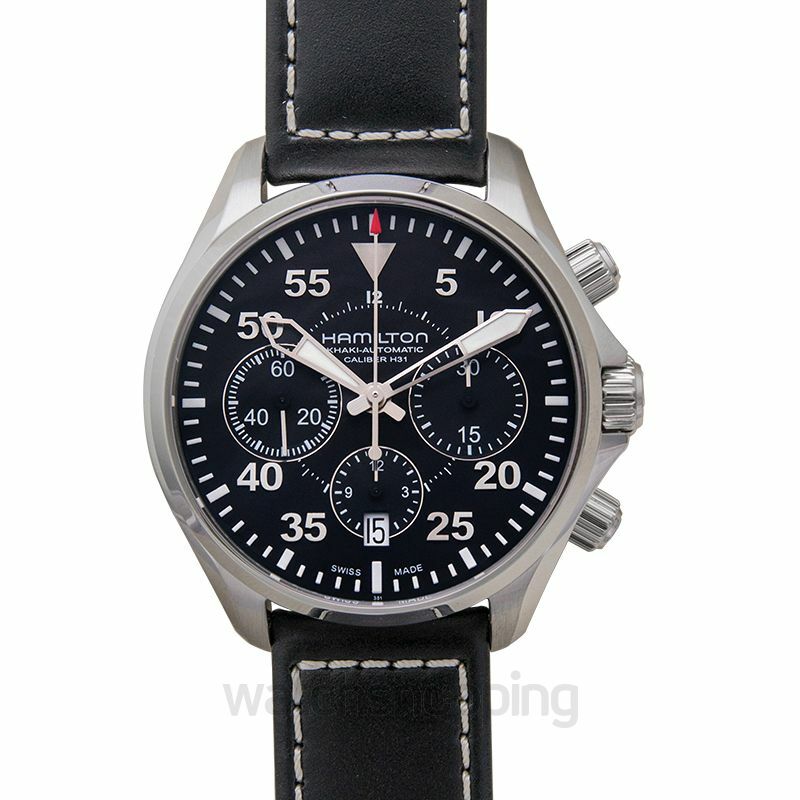 Featuring an oversized dial, the Hamilton Khaki Pilot Auto Chrono H64666735 is a luxurious yet well-performing chronograph watch that you need to add to your collection right away. 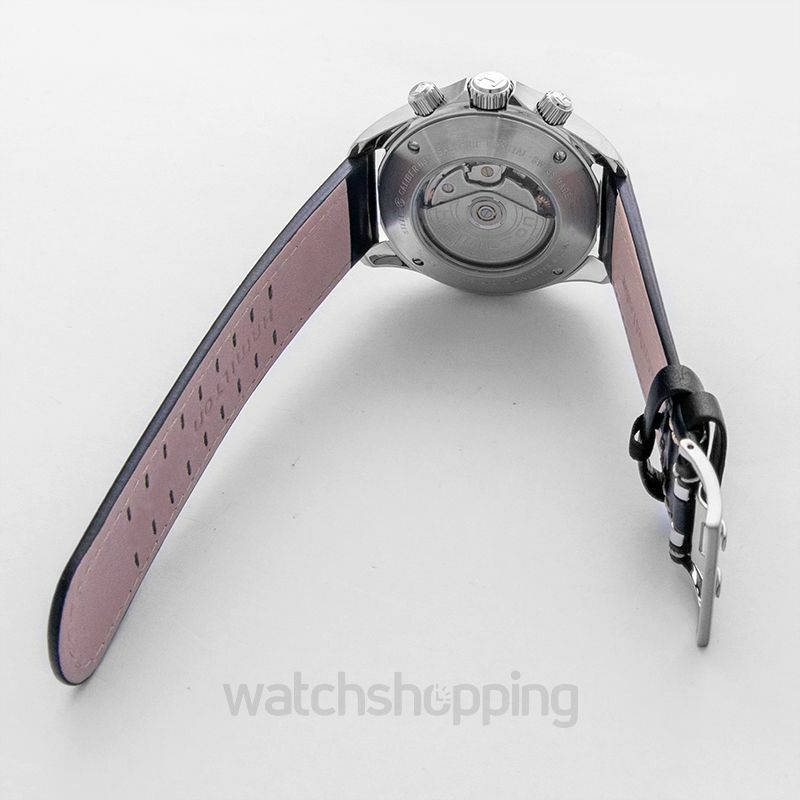 The watch has a well-balanced sporty yet elegant design. The black dial has impressive readability with its oversized Arabic numbers and luminous hands. 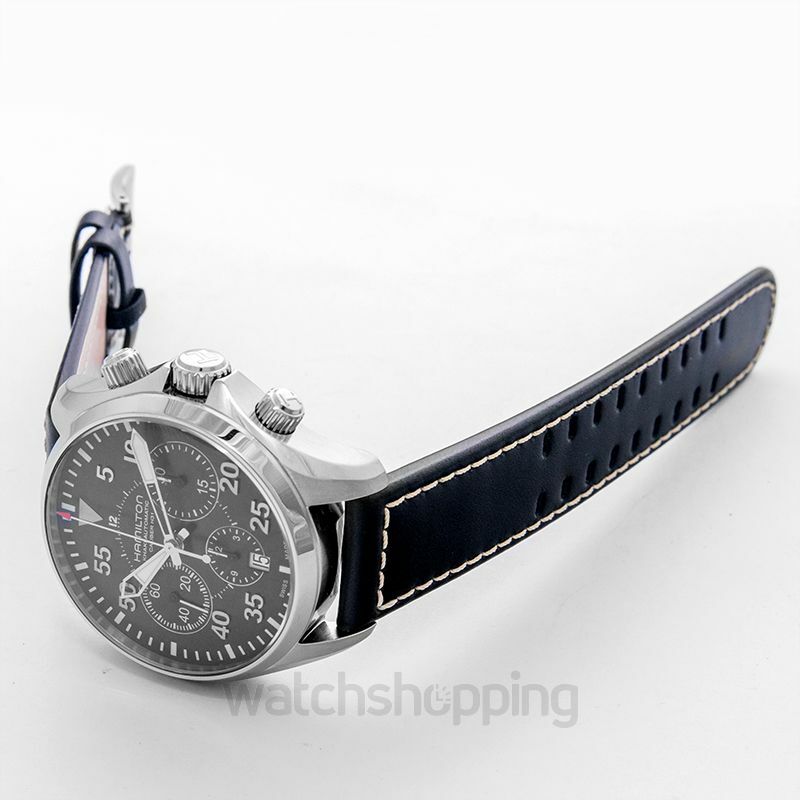 The dial also has well-defined chronograph subdials that add a beautiful touch of sportiness to the watch. 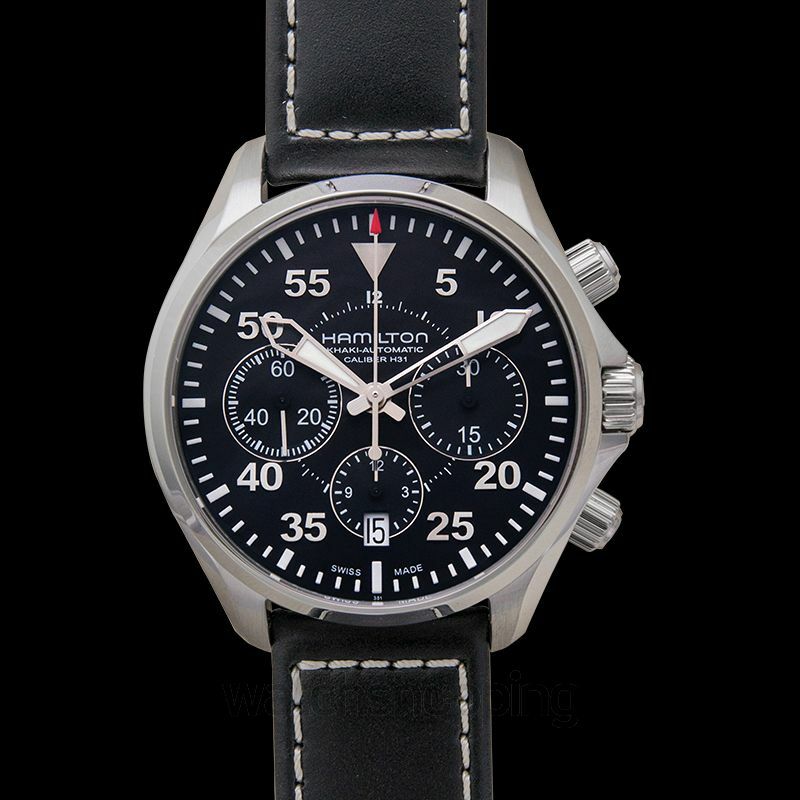 This extraordinary timepiece is powered by the Hamilton Calibre H-31 movement, ensuring a reliable and precise reading.